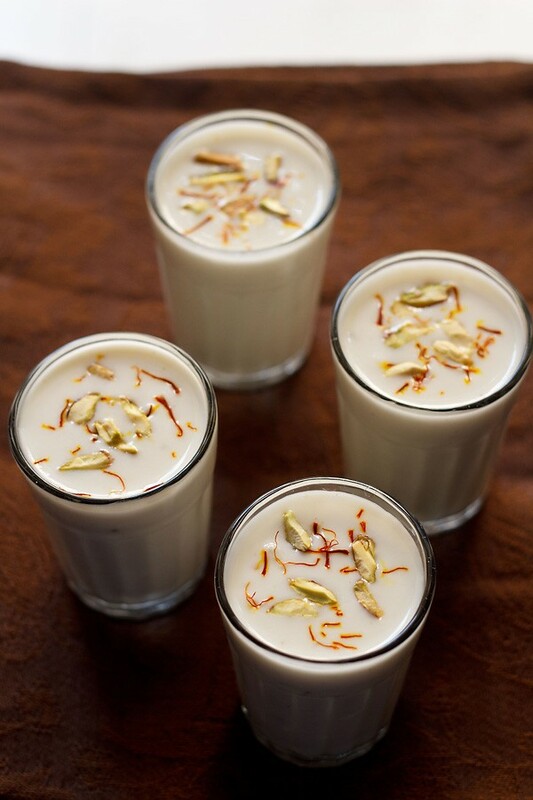 jaljeera is a spiced indian cooling drink also had as an appetizer. 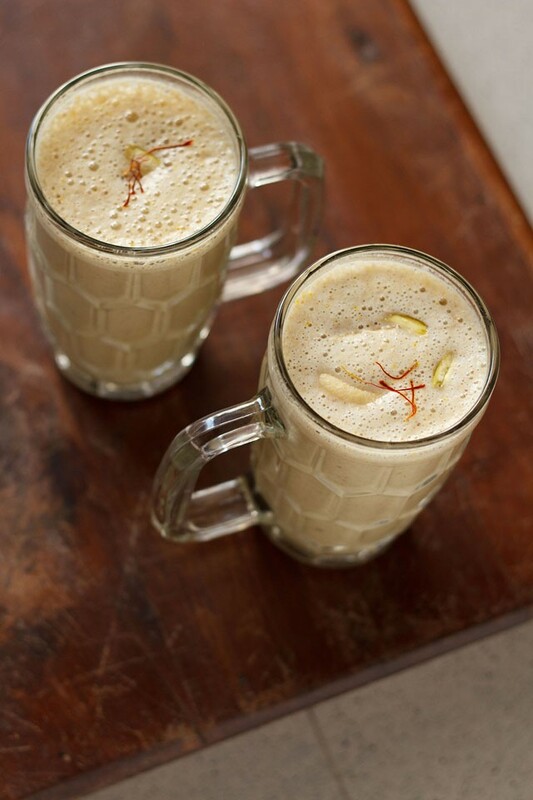 jaljeera recipe with step by step photos – jal jeera is a very popular drink from north india. 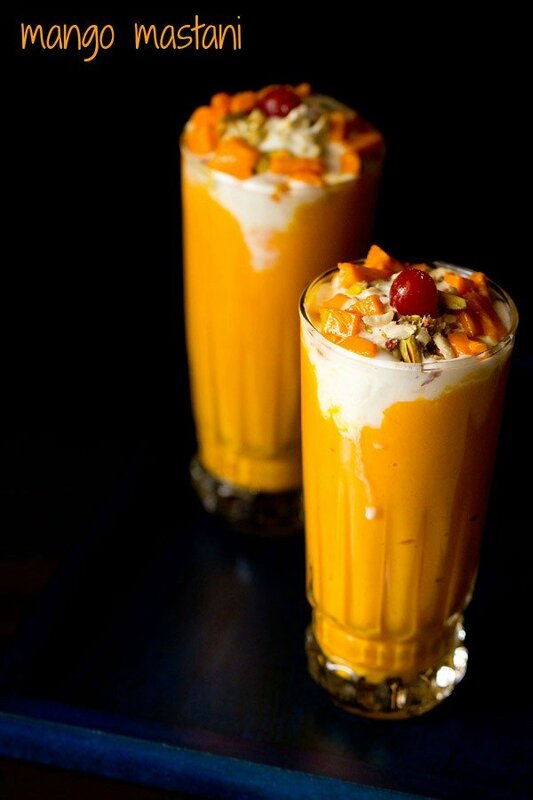 it is very cooling and is ideal drink for hot indian summers. apart from cooling properties jal jeera is also used as an appetizer because of its digestive properties. for my english readers jal means water and jeera means cumin. so the literal translation would be cumin water. however its far from tasting earthy and peppery like cumin water. i have had cumin water many times and i know its taste. 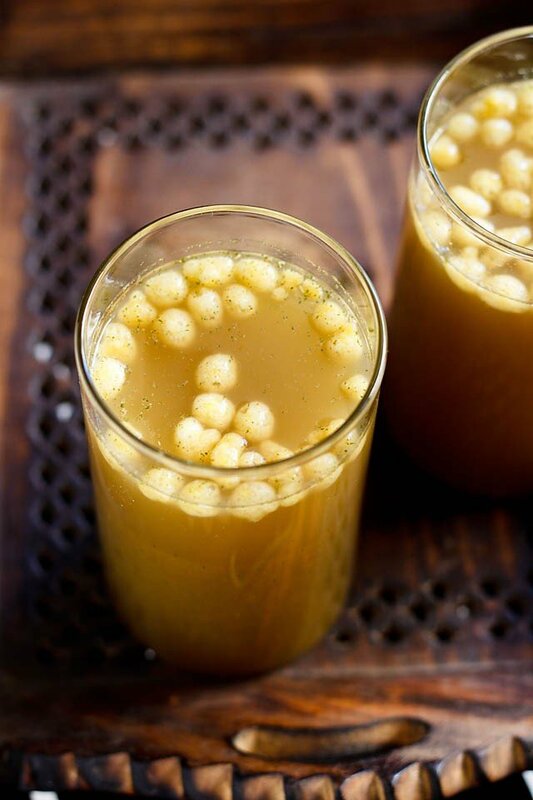 there are some other strong spices and herbs used in jal jeera along with cumin which makes it a tangy, sour, aromatic and spicy drink. they are mint, tamarind, fennel and black pepper. 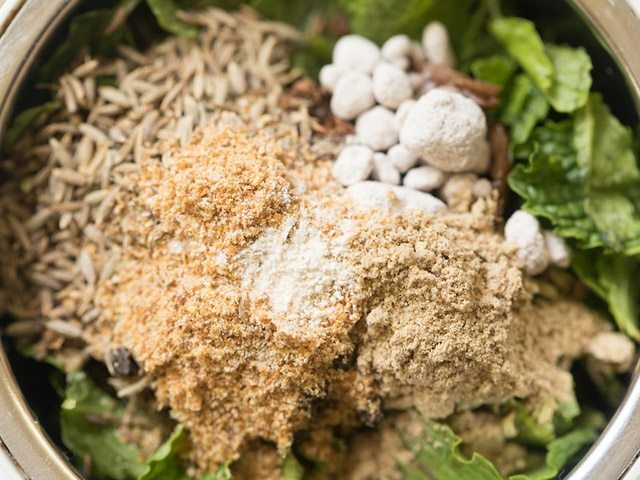 jeera or cumin seeds – peppery flavors & good for digestion. saunf or fennel seeds – sweet and aromatic. digestive and anti-oxidant. amchur powder or dry mango powder – tart & adds sourness. mint leaves – fragrant and sweet. cooling as well as has digestive properties. black pepper – pungent and spicy. 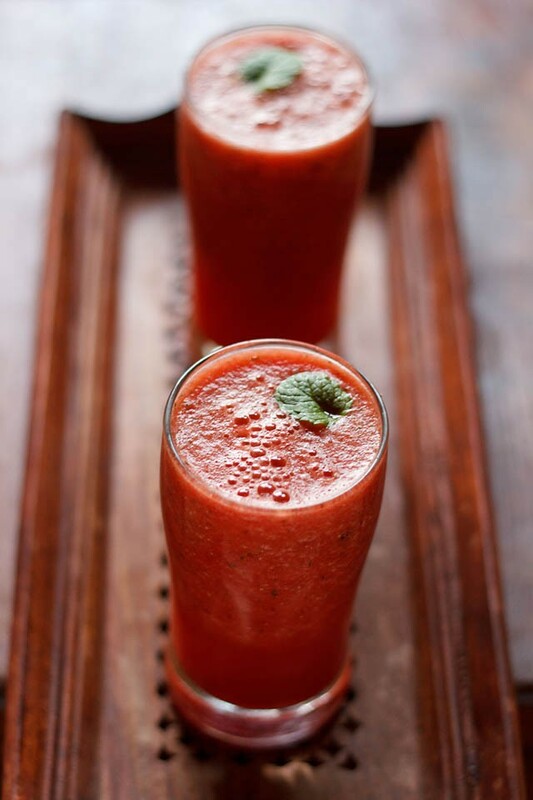 has digestive properties and also add lot of punch to the drink. black salt – digestive properties and also adds lot of flavor. often used in shikanjvi – indian lemonade and in indian chaat snacks. ginger – good for digestion. its optional as it also produces heat. i have not used it. 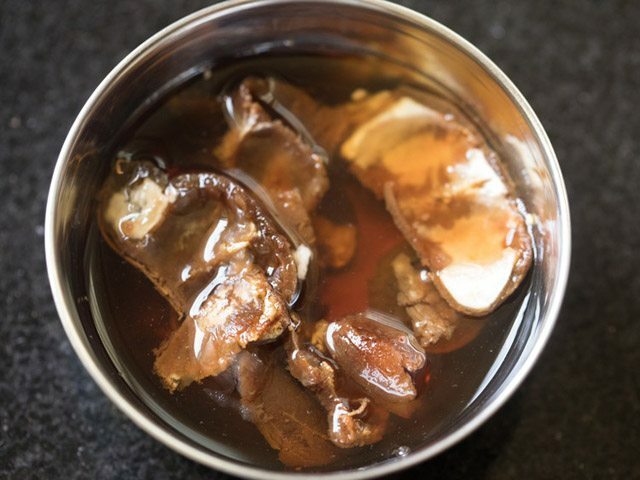 tamarind – good for cooling and also adds sourness. 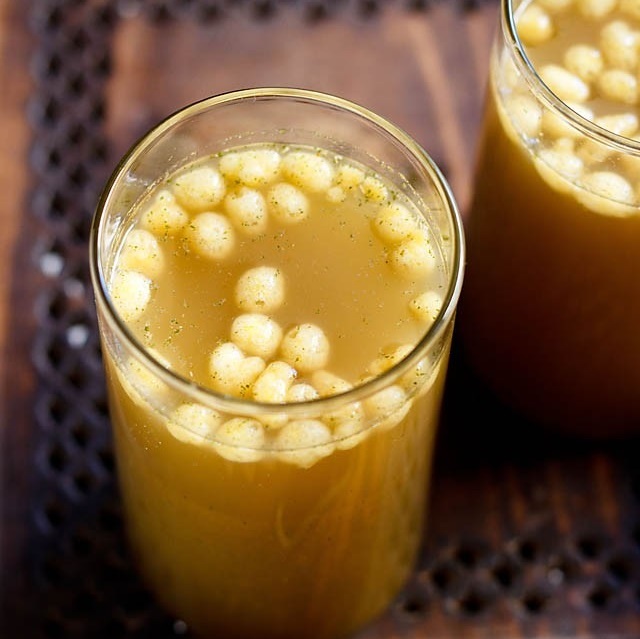 usually boondi (crisp & fried gram flour tiny balls) are also added in the drink. i assume by this time, you must have realized that this drink is full of flavors and punch and will give you a kick. some people may not like the taste as its a bit spicy and can knock down your taste buds. so be open minded while drinking it first time. there are many ways of making jaljeera and more or less the above spices & herbs are used. usually the jal jeera is served before the meal as an appetizer and many restaurants who serve full thali meal serve it in the beginning. otherwise you can have it in between the meal also. in north india, jal jeera is often served in streets by vendors who keep it in matka (large earthen pots) which keeps the drink cool. it can also be served with pani puri or golgappa, another popular street food of india. 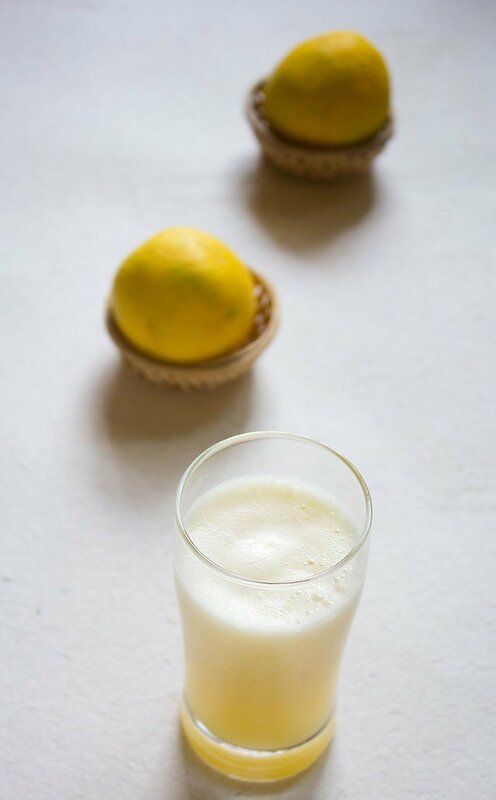 if you are looking for more cooling drinks then i suggest you to check watermelon juice, muskmelon juice, thandai, sweet lassi and namkeen sattu recipe. soak 1 tablespoon tightly packed tamarind in ¼ cup hot water for about 20 minutes. rinse ⅓ cup fresh mint leaves well with water. drain all the water. 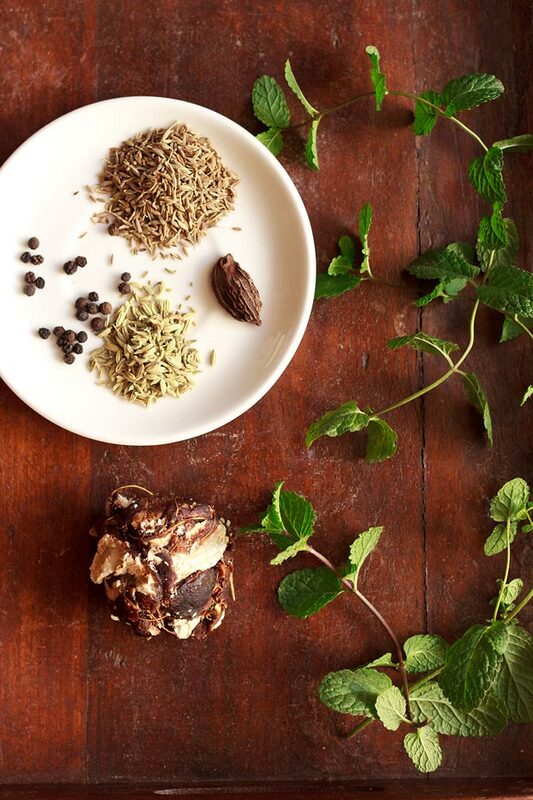 add the mint leaves in a small grinder jar. only use the mint leaves. do not add the stems as then the jal jeera can become bitter. add the soaked tamarind along with its water. make sure there are no seeds in the tamarind. 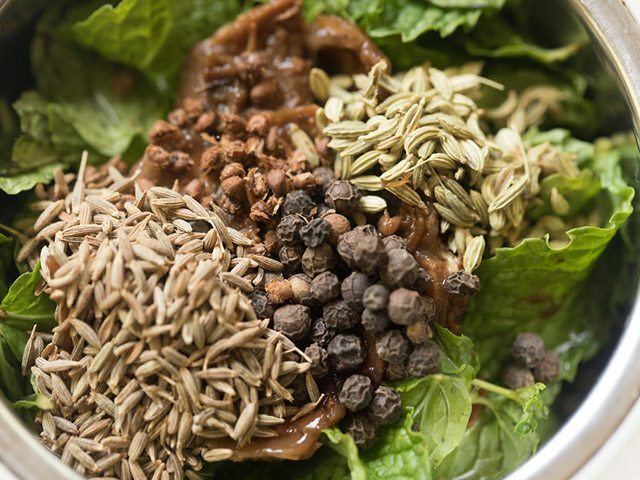 add 1.5 teaspoons cumin seeds, 1 teaspoon fennel, ½ teaspoon black pepper and seeds removed from 1 black cardamom. next add 1 teaspoon amchur (dry mango powder), 1 teaspoon chaat masala, 1 pinch asafoetida (hing) and black salt as required. if you do not have dry mango powder, then you can add some lemon juice. instead of dry mango powder, kachri powder or bel powder can also be used. instead of black salt, you can use rock salt or sea salt. grind to a smooth chutney. if you want you can even strain the chutney using a tea strainer. 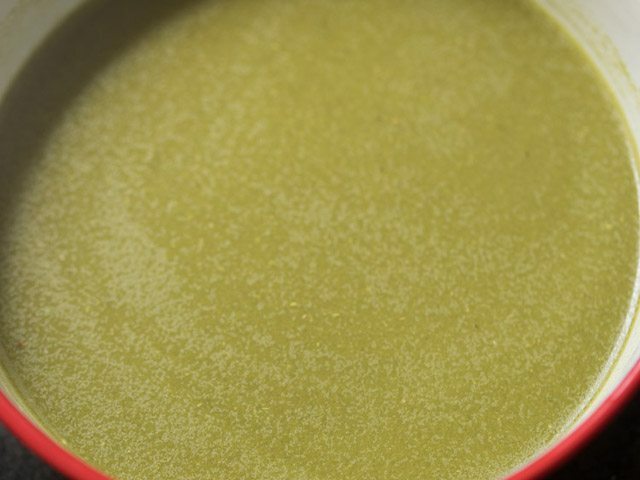 take the jal jeera chutney in a bowl. also add 1.5 cups water. mix very well. check the taste of jaljeera and add more salt and dry mango powder if required. you can also add some lemon juice if you want. if in case the jaljeera tastes bitter (due to the type and quality of mint leaves), then add some lemon juice to balance the bitterness. keep jaljeera in the refrigerator. 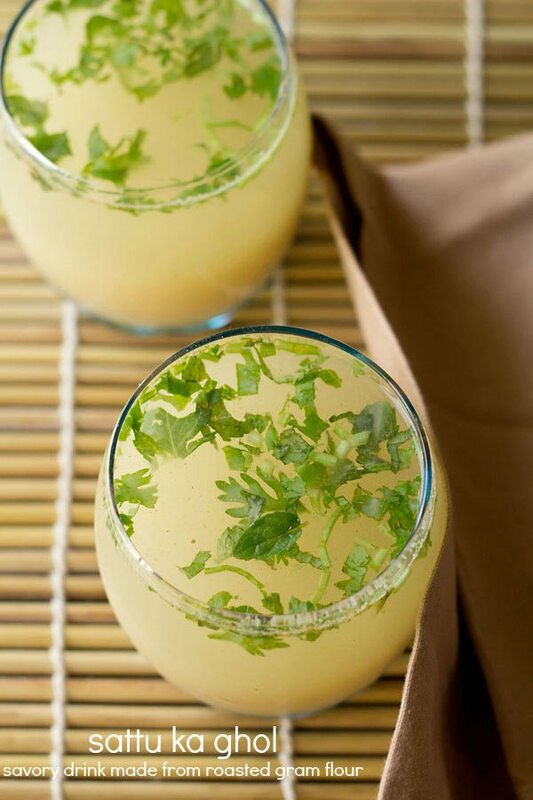 while serving jaljeera you can add some boondi, a pinch of chaat masala and a few mint leaves in each glass. boondi can be soaked in water for 20 to 30 minutes. later squeeze the water and keep them aside. add boondi while serving jaljeera. 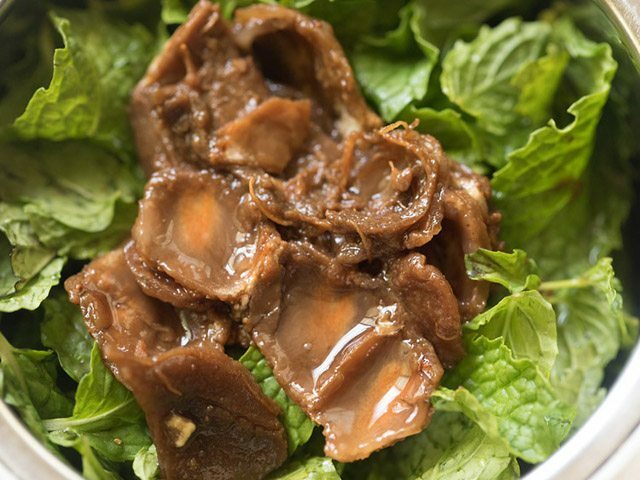 1. soak 1 tablespoon tightly packed tamarind in ¼ cup hot water for about 20 minutes. 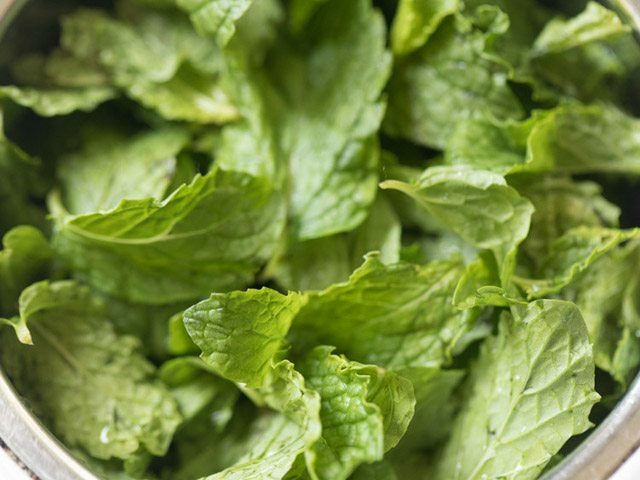 2. rinse ⅓ cup loosely packed fresh mint leaves well with water. drain all the water. 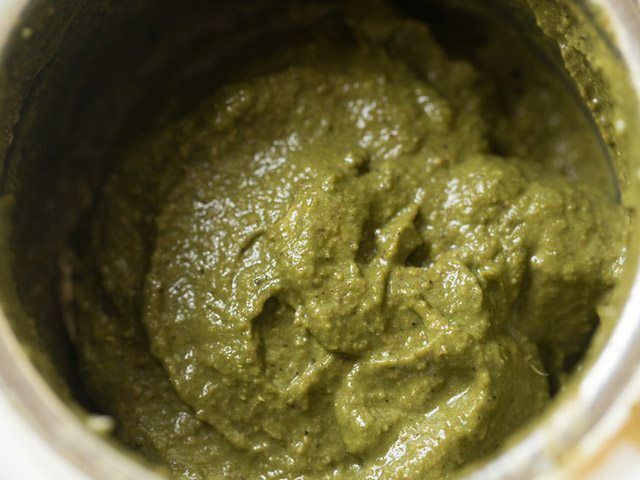 add the mint leaves in a small grinder jar. only use the mint leaves. do not add the stems as then the jal jeera can become bitter. 3. add the soaked tamarind along with its water. make sure there are no seeds in the tamarind. 4. add the following spices – 1.5 teaspoons cumin seeds, 1 teaspoon fennel, ½ teaspoon black pepper and seeds removed from 1 black cardamom. discard the outer cardamom cover. to get the seeds, just lightly crush the black cardamom in a mortar-pestle and then remove the seeds. 5. next add 1 teaspoon amchur powder (dry mango powder), 1 teaspoon chaat masala, 1 pinch asafoetida (hing) and black salt as required. if you do not have dry mango powder, then you can add some lemon juice. instead of dry mango powder, kachri powder or bel powder can also be used. instead of black salt, you can use rock salt or sea salt. 6. grind to a smooth chutney. if you want you can even strain the chutney using a tea strainer. 7. take the jaljeera chutney in a bowl. also add 1.5 cups water. 8. mix very well. check the taste of jal jeera and add more salt and dry mango powder if required. you can also add some lemon juice if you want. if in case the jaljeera tastes bitter (due to the type and quality of mint leaves), then add some lemon juice to balance the bitterness. keep jaljeera for a few hours in the refrigerator. 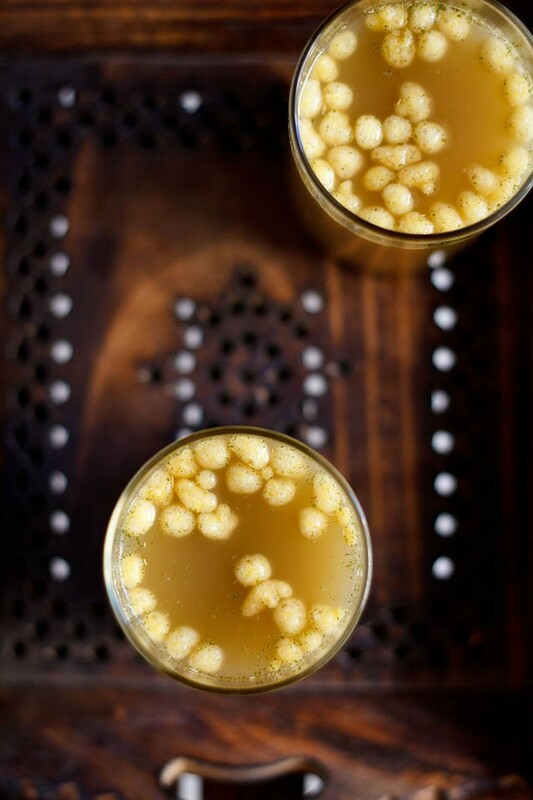 9. while serving jal jeera you can add some boondi, a pinch of chaat masala and a few mint leaves in each glass. boondi can be soaked in water for 20 to 30 minutes. later squeeze the water and keep them aside. add boondi while serving jaljeera. I bless the day, I found your blog on the web.. you are certainly blessed by Goddess Anpurnna. I am 21 and suffer through acidy and heartburn strokes the every alternate day, I have consulted many doctors but hate to intake what they prescribe. I have noted down the jal jeera recipe and the kokum sherbet. I request you to suggest me some more stomach soothing recipes. thanks a much maria. humbled with your words. for acidity, sabja (sweet basil seeds) are very good. just mix with some water and soak for 30 minutes. you can then just have this water plain. or add soaked sabja in juices or fruit based drinks. there is another way you can have kokum and that is having kokum curry where – kokum extract and coconut milk is mixed and then tempered. its good for the stomach. you can also include rose extract or rose water in your food. Hi Dassana. I love your blog and your recipe collection. 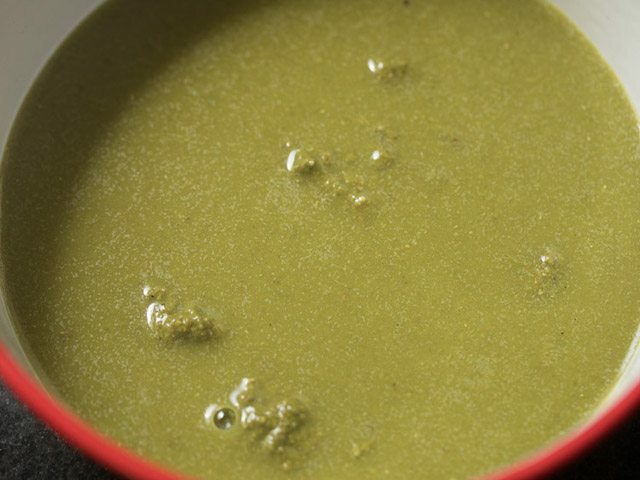 This Jal Jeera recipe is just great. it has me drooling!! thanks kimberly for the link and your motivating words. i will have a look in my free time.